John M. Dienhart (1939-2004) was a dedicated linguist who loved his work and undertook all his projects with great commitment - a commitment and enthusiasm which are unmistakably evident in the essays of this book. 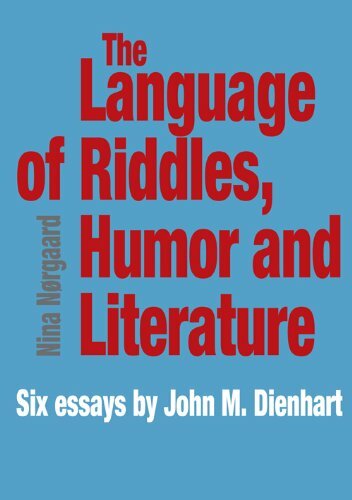 The Language of Riddles, Humor and Literature is a selection of essays in stylistics by Dienhart, which are now collected here for the first time. The essays investigate a variety of linguistic aspects of texts from different genres: from punning riddles and other types of humorous texts to fictional prose and poetry. The essays are characterized by their pedagogical style and analytical insight and illustrate how work in stylistics may simultaneously contribute to our understanding of a given text and of a particular linguistic phenomenon.